Spending $ on Pre-Hari Raya season. Lazada Malaysia was having a grand-scale promotion. Like any other person could not resist the temptation of the huge promotion ongoing on Lazada Malaysia. I was thinking what should I bought that really useful. I went to a deep thinking for sometimes and the logical explanation why should I spend was " Since everyone buy something during this season, I should not be excluded ". Not a big fan of camera and being not profession in this industry. I should restrict myself purchasing something really cheap but the camera must be better than my smartphone camera. This Finepix S4600 seem like a good deal. It got everything I needed. The zoom, megapixel, flash and video recording. I was like this is it I am going to purchase this straight away. I am going to checkout. Yet, I keep my impulsiveness aside and started to do a small research at Mr. Google. 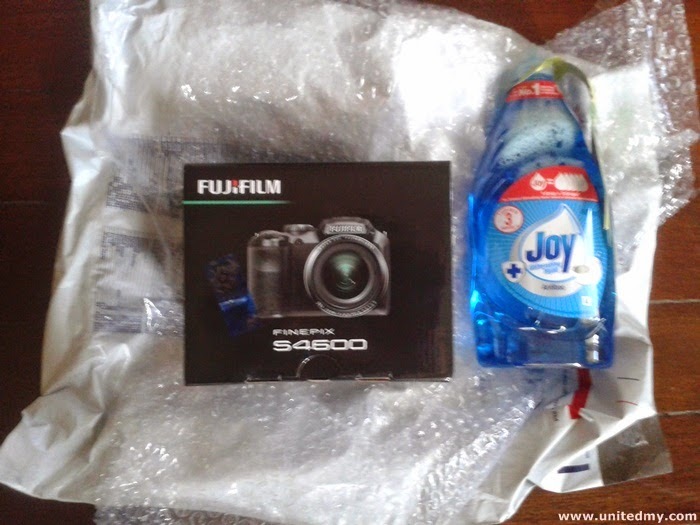 The result came back to me positively Lazada offered the best deal on this Fujifilm S4600. The result was some website offered higher price if I could remember it was Mudah or Lelong. I release all my energy looking at this deal on Lazada Malaysia website for a moment and purchased it successfully. The truth is that I was going to purchase Nikon camera which was at the price of RM460. But, due to my knowledge in camera is not meet the requirement to judge both of the camera so I just purchase the cheaper one. All this time I know Nikon is the best camera, they are just good in high-end Nikon camera which cost a lot more. You still do not believe me ?? Lazada Malaysia delivery is just awesome. Order on July 17 (Thursday) next week Monday I received a phone call to pick it up. I like to pick it up myself at courier rather than having them to send it to my home. As for you, you could ask them to send to your office or home. In fact, there is a service called Cash-on-delivery or COD in short which enable you to get the item at your doorstep then, you must pay them. This is for selected items only at Lazada Malaysia.